PI (Personal Interview) Tips – Management aspirants need to cross several hurdles in order to put their step into their dream B-school for pursuing management programmes. Personal Interview or PI is generally the last among key components of the selection process at B-schools. The interview panel which comprises 2-5 panelists intend to gauge the personality traits and required skills of the candidates during the Personal Interview round. The motive of the personal interview round is to measure the suitability of candidates for the MBA programme in their institution/B-school. While many B-schools have either replaced Group Discussion (GD) with Writing Ability Test (WAT) or added another component like Group Exercise or Case Discussion in the final stages of their selection process, the PI (Personal Interview) has remained intact as the key component of the selection process during MBA admissions. So, it is imperative for aspirants to gather PI Tips to excel in this round. Being one of the most crucial admission rounds, it is a mandate for candidates to know how to successfully crack PI or Personal Interview rounds and get the final admission offer. In this article, we bring forth expert advice and toppers’ insight on how to crack Personal Interview at top B-schools and also, a list of Personal Interview (PI) tips to ace most essential round pertaining to the counselling round. Furthermore, a few sample Personal Interview (PI) questions have been added for the convenience of the prospective students. So, what do interviewers look into while interviewing a candidate? Vinayak Kudva, Chief Mentor, IMS Learning, says, “A personal interview is the last step to get to know the candidate well. Personality traits that cannot be uncovered through Entrance tests, GD or WAT are evaluated here. The selectors try to understand the kind of person the candidate is, what are his/her interests, motivation, aspirations etc.” Typically, the panel might have 2 – 6 interviewers depending on the norms of the institutions. Candidates should be well prepared with the basic questions revolving around their thought process about career path, life and ambitions, such as ‘why MBA’, ‘how will it relate to your goal’, ‘how does your academic background relate to your goal’, ‘how relevant your experience’, ‘why do you want to join a particular institute’. The interviewers may also grill you on core-academic knowledge and may go deep into questions related to your work experience. Besides this, few questions may also be asked on the general interest and hobbies of candidates. Q – Is this a company name (Applied Materials)? Ashu – Yes and explained what my company does and my job role there. Even before I could complete my answer, from here onward the interruption by the panelists had already started. Q – What will you gain from here? Ashu– Knowledge, faculty and alumni interaction. Then I went on with a sort of rapid fire on all three points I mentioned, i.e. Knowledge, faculty and alumni interaction. Q – What you will add to the batch? Ashu– I talked about my industry experience which is different and a club I had started in college. They kept cross-questioning me about the club for a while. Further, they questioned me about QFD or Quality Function Deployment, regarding my work experience, my rank in my graduation, class strength and even attendance. He adds that aspirants must prepare extensively on these basic questions in order to crack PI, as interviewers usually cross-question on the same. He admits that the toughest moment during his interview was to answer these questions only. “For me, the most difficult question to answer was ‘Why MBA?’ It seems easy to answer but it is not. They were grilling me on everything that I was answering. I answered in terms of learning, exposure, alumni interaction and faculty experience,” says Ashu. Experts suggest that Personal Interview (PI) may include many questions from the subjects candidates have studied during their graduation or post graduation. Candidates should revise important concepts learnt in at least two major subjects and think about their real-life applications. During Personal Interview round, one should reflect confidence while answering different questions. Interviewers often tend to cross-question even on candidates’ right answers just to check the confidence level on their own answers. During PI round, candidates are also tested for the integrity of their basic characteristics like honesty, humility,etc. The honest approach during the interview also makes the given responses natural and genuine. Experts suggest that one should be fully prepared with arguments to justify whatever he/she thinks is right. One needs to be honest with oneself and one needs to think objectively to the basic questions. There is no right or wrong answer in an interview; it depends on how the candidate offers his responses. The interviewers expect honest answers without any bluffing. Toppers also suggest that it is better to skip the question which candidates are not sure about. An answer which does not convince the candidates themselves, may invite unnecessary counter questions which may embarrass the candidates further and hamper their chance in qualifying the Personal Interview. Politeness during the interview also brings a positive impression on the interviewers. In some cases, while one might be correct with his/her answers, must not out-rightly reject interviews’ views to his/her response. Instead, candidates should listen to them carefully and put forward their response with a better argument. Experts suggest that sometimes, interviewers may also be wrong with some information, but candidates should not directly point it out. Instead, they should try to convince them politely about the correct information. While the questions asked in the interview may vary from candidate to candidate, it is important to gradually invite the questions from the areas of strength as the interview progresses. As Dipal Kumar Patel of IIM Raipur shares, “ I was able to share my answer with utter confidence. Further, I was able to drive the interview with my explanation of the previous question. This led the interview in the desired direction.” You also need to prepare answers to the basic questions in such a way that it again prompts questions on your strong areas as interviewers mostly pick questions from your answers to the previous questions. 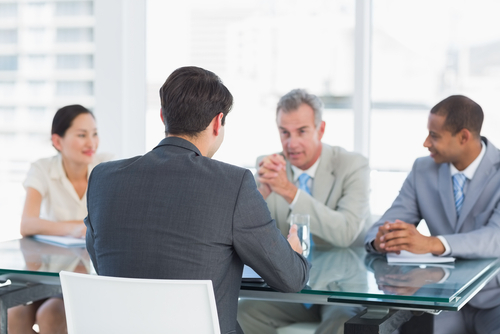 Candidates’ body language and approach during the interview should reflect positivity. Experts say that smart response and right answers must be supported by the positive expressions, constructive approach and attentive nature of candidates during the interview. The sitting posture should be formal throughout the interview. During the interview, interviewers also tend to pick questions based on the information that CV/Resume carries. Interviewers expect candidates to be fully prepared with minute details on any information that you provide in the resume or CV. So now that the candidates know how to prepare for PI rounds based on the PI tips based on toppers’ experiences, they should now focus on brushing up their body language, CV and most importantly, communication skills in order to crack PI rounds of top B-schools. Priya Ramakrishnan, a student of NMIMS Mumbai, says, “My interview experience at NMIMS was wonderful. Since there were ample opportunities to guide the direction my interview went in (which could be dangerous if not used well), I was able to make full use of the time to impress the panel. Being a bibliophile, I personally felt comfortable during my interview since we were discussing a book I had read recently. The panel consisted of three members – one faculty member, one industry expert and one alumnus/alumna. Q. What is your strength and weakness? Q. Who has inspired you in your life and how? Q. Describe your ideal company, location and job. Q. What are your short and long-term career goals? Q. How do you define success and how do you measure up to your own definition? Q. How much salary do you expect after completing your programme? Q. Where do you see yourself five/ten years from now? Q. What kind of people do you find it difficult to work with? Q. What kind of people do you like to work with? Q. Why do you think should we select you for our MBA programme? Q. What five words would you choose to best describe yourself? Q. Are you a better planner or implementer? Q. Tell me about your dream job/company. Q. Any plans for a start-up business? Justify your answer.